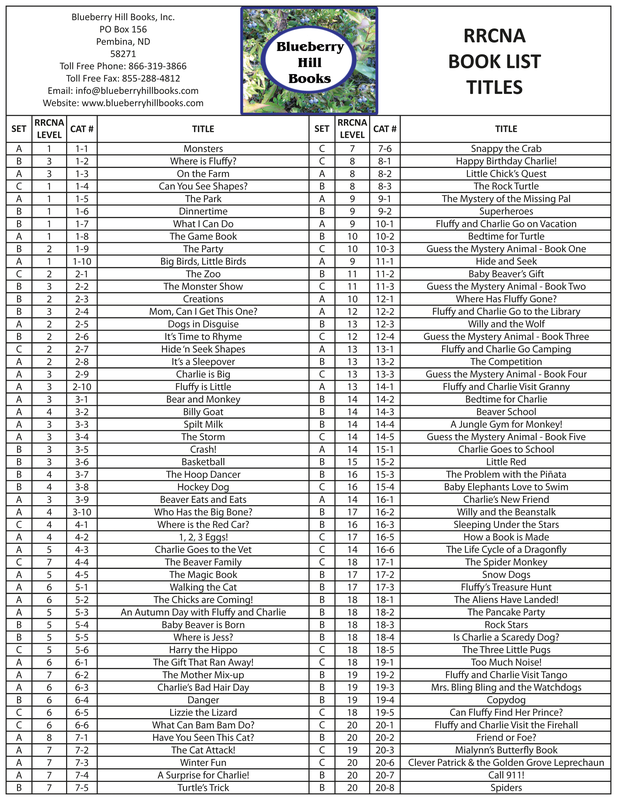 Blueberry Hill Books currently has 104 titles leveled on the Reading Recovery® Council of North America book list. These titles range in level from 1 - 20. You can find a complete list of the Blueberry Hill Books titles on the RRCNA book list here. Below you can find all the books currently on the RRCNA book list. Order the whole collection, smaller sets, six packs, four packs, or individual titles! Can Fluffy Find Her Prince? Is Charlie a Scaredy Dog?